Signed on Dec. 21, 2018. He was selected in the seventh round (59th overall) of the 2018 CFL draft and originally signed on May 14, 2018. (Calgary) Ferraro attended Calgary’s training camp before returning to university. In two pre-season games for the Stamps, he was one-for-one on field goals and had four kickoffs for 228 yards. Ferraro is the all-time leader in Ontario University Athletics history with 91 field goals. The final regular-season field goal of his career at Guelph was a 42-yard overtime winner that allowed the Gryphons to clinch a playoff spot. He earned OUA first-team all-star honours in 2018 as he accounted for 86 points with 22 field goals on 31 attempts and 20 extra points on 21 tries. He played 36 games over five seasons (2014-18) at Guelph and accumulated 379 points. He converted 91 of 117 field goals and 106 of 109 extra points. Ferraro also punted the ball 242 times for 8,851 yards (an average of 36.6 yards). He set an Ontario conference single-season record with 33 field goals in 2017 and earned first-team all-star honours. 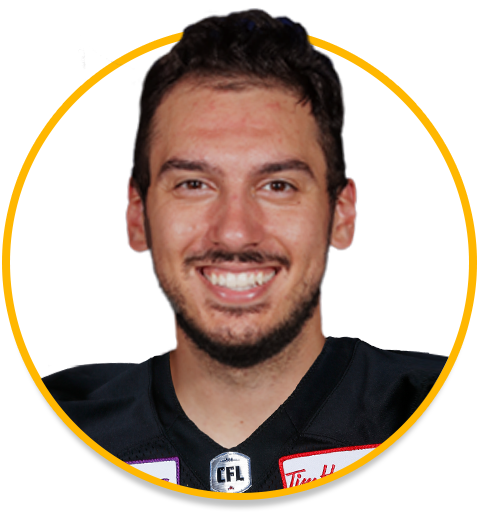 Ferraro is as alumnus of St. Marcellinus Secondary School in Mississauga, Ont. He played for Canada at the 2014 International Bowl.